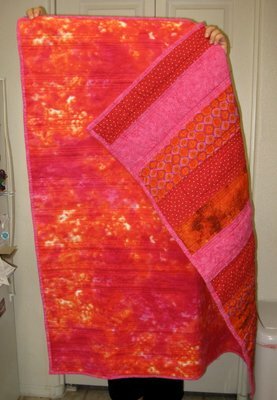 I came across these quilt pictures while updating my photo folders. 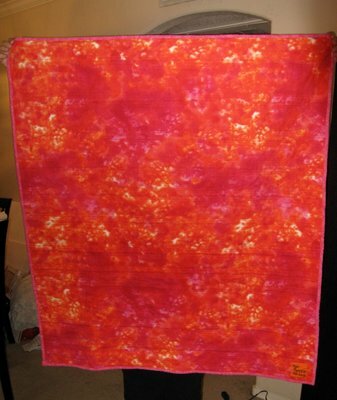 I don’t remember anything about this quilt and I hadn’t renamed the pictures yet to provide clues. Maybe it was for a friend in Minnesota, baby #3? The pictures were taken November 2013, does this theory work with that timeline? Have I made quilts for all of their children? If that’s the case I better get cracking on the quilt for baby #4 due this fall. September 11, 2015. 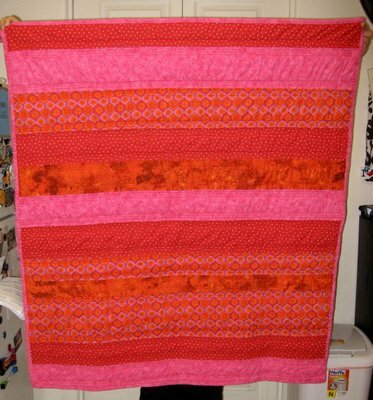 Tags: baby quilt, completed projects, orange, pink, quilt, red, stripes. Pictures, Projects, Words.